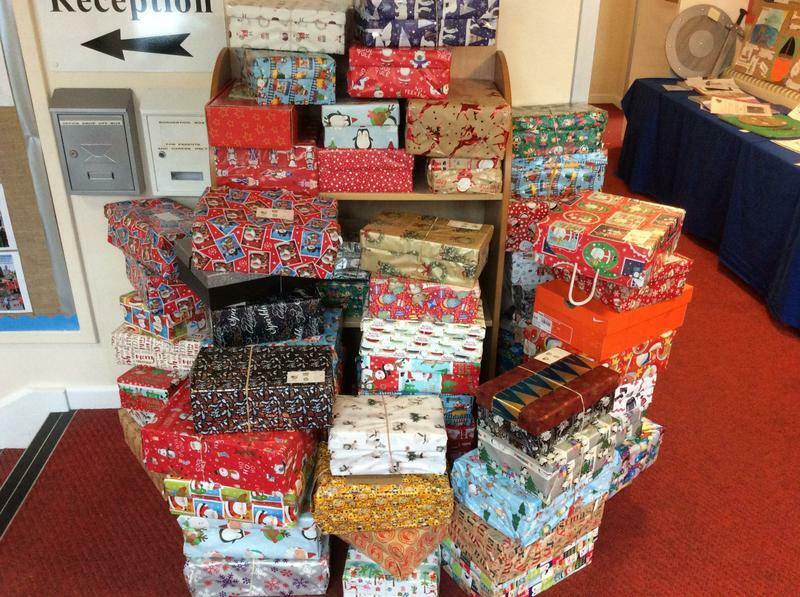 A big thank you to all parents, carers and children who have supported the Christmas Shoe Box Appeal. The children attended an assembly and heard about children in the Ukraine and Romania who receive these boxes and what it means to them. They watched a video of last year's Shoe Boxes being distributed to the children and the joy that it brought to them. Our boxes have been collected today and we have sent an amazing 71 boxes. 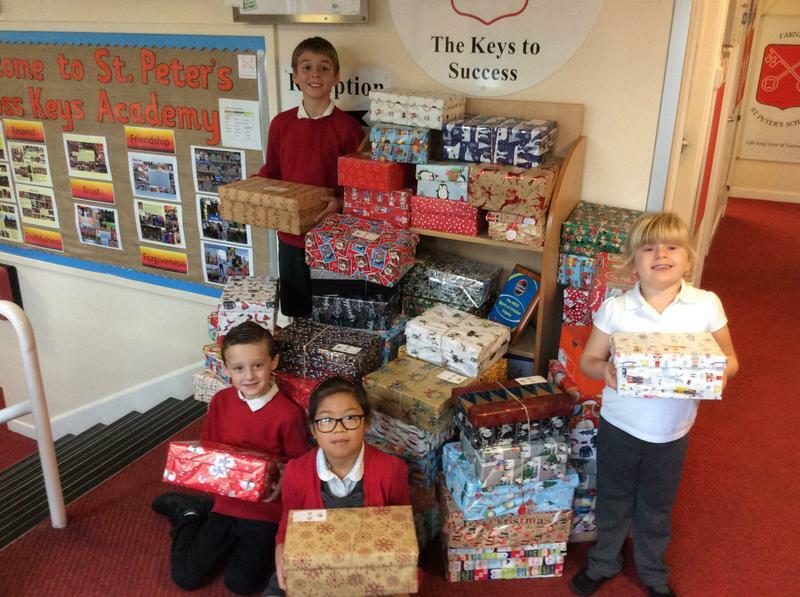 The boxes were collected by a lady who is leaving for the Ukraine in a couple of weeks and she has promised to send photos of children receiving them - so we can see the boxes journey from your houses to making a children smile this Christmas.